Yes, there's actually a bunch of Sonic games on Steam. They're easy to miss in the piles of other action games, but 2011's Sonic Generations deserves special notice for its thriving mod community. That's right, mods and Sonic is a thing, a pair as expected as hedgehogs and racing. 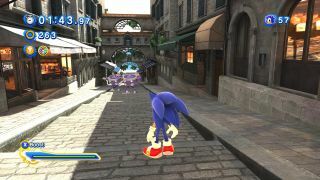 The latest user-generated triumph is the Unleashed Project , a massive port of some of the daytime (read: good) levels from the console-only Sonic Unleashed. Spin-roll over to Mod DB for a lengthy FAQ on what you'll get on downloading the Unleashed Project.